Leading Manufacturer of sprinklers system and sprinkler irrigation system from Nagpur. We offer quality range of Sprinklers System, which is considered as the backbone of fire protection systems for modern buildings and is mandated by the local fire brigade, insurance authorities and other regulatory bodies. These commercial fire sprinklers, fire sprinklers systems are manufactured from quality-tested components and are highly demanded by our clients spread worldwide. We also meet customized requirement for our client's benefit. The Sprinkler Irrigation System offered by us is known to be one of the primary preferences in the market. It is widely used for maintaining parks and gardens. The performance it provides is impeccable. 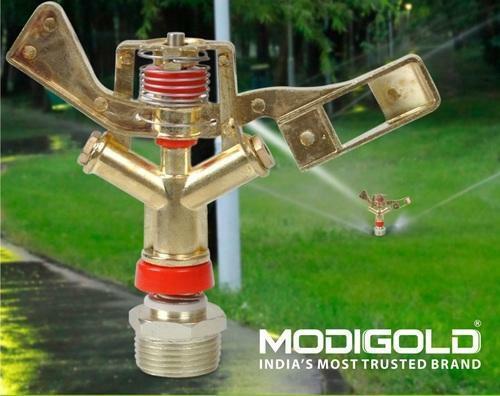 Manufactured in compliance with the set industrial norms and guidelines, the offered sprinkler has a long life and a corrosion resistant built.To ensure about the flawlessness, our expert quality controllers also check these products on various parameters.